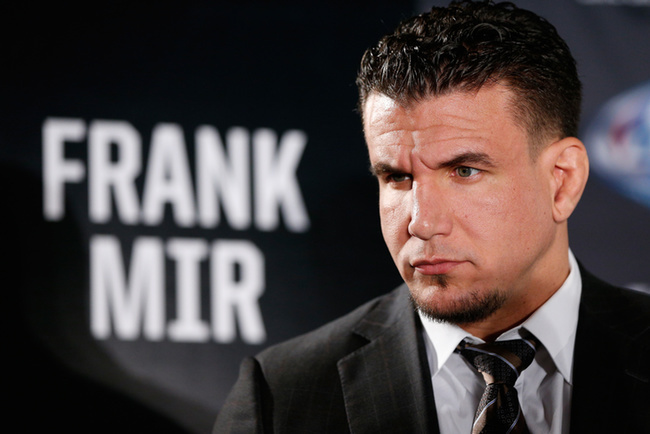 Former two-time UFC heavyweight champion Frank Mir still has a lot of fight left in him, despite recent calls for his retirement from the sport of mixed martial arts. Sure enough Mir defeated Abbott via submission in just 46-seconds. From there he would win two more bouts against Wes Sims, and then the UFC heavyweight championship for the first time after defeating then champion, Tim Sylvia. Mir then was involved in that horrific motorcycle accident that sidelined him for more than a year which also caused for the title to be vacated. When he returned he lost his first fight back in the octagon to a relatively unknown name in the sport, Marcio Cruz. That’s when Monday morning quarterbacks began to question if the Mir that had won the title would ever return. He would lose one more time before regaining the title back at UFC 92 with a TKO win over Antonio “Minotauro” Nogueira. Of course, Mir would then rematch Brock Lesnar for a second time at UFC 100, losing the title in his first defense. 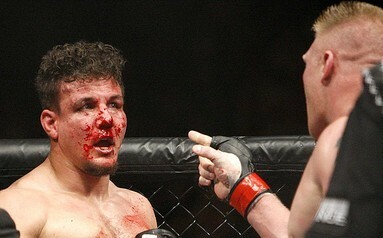 A bloody Frank Mir after rematch with Brock Lesnar at UFC 100. That’s when the roller coaster started. Ups and downs along the way, even after a loss or two, Mir was able to capitalize and earn wins that would land him shots at the title once again. 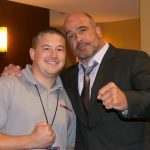 He would fight Shane Carwin for the interim title at UFC 111, and Junior Dos Santos at UFC 146. Despite losing both bouts, Mir was right there, on the cusp of becoming a three time champion. Mir’s most recent loss to Hunt on March 20 in Australia came via KO at 3:07 in the first round. Right away commentators, fans, and keyboard warriors laid out the retirement talks as if they knew what was best for Mir himself. While Mir does have commentating experience and did an excellent job with it while working for the World Extreme Cagefighting, he still has the desire to fight on. He proved that by immediately returning to the gym to pick up where he left off. Going into the Hunt fight Mir expressed a desire to fight for years to come. Let’s take a look at Mir’s last 11 fights. In this fights the former champion has recorded a 5-6 record. You could argue that he has lost more than he has won. But let’s take a look at the competition. The first fight was a knockout win over Mirko “Cro Cop” Filipovic, followed by a unanimous decision win over Ultimate Fighter winner, Roy Nelson. 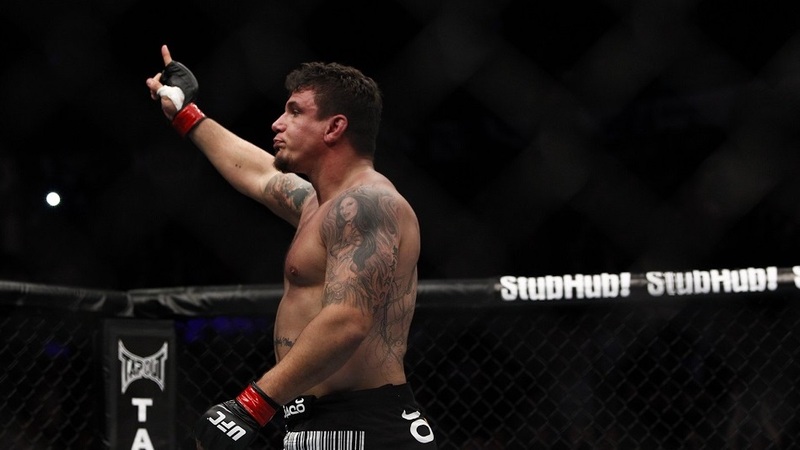 Then Mir snaps the arm of Nogueira in a rematch, taking his win streak to three and it seemed as if he were unstoppable. He gets the title shot against Dos Santos, losing via TKO in the second round and beginning a four-fight losing streak. After Dos Santos came Daniel Cormier who was the Strikeforce heavyweight grand prix champion and is now the current UFC light heavyweight champion. Then there was former UFC heavyweight champion Josh Barnett, and lastly, former Strikeforce champion Alistair Overeem. After losing four in a row Mir bounced back with consecutive knock out wins over Antonio “Bigfoot” Silva and Todd Duffee. He then drops a unanimous decision to former UFC heavyweight champion Andrei Arlovski. Then, just weeks ago the loss to Hunt. Sure there were more losses than there were wins over those 11 fights but when you take a look at the caliber of fighters he faced, with the reality that unless the fight goes to a draw, one of the two fighters will take a loss, it is hard to say that Mir should all together hang up his gloves. Three of the six losses came via decisions to former world champions, while four of the five wins were either by KO or submission. Whether Mir retires from the sport of mixed martial arts or continues to fight is up to him. Only he can make that call. But here are a few fights that would be interesting and make sense for the UFC to book. Mir currently sits at number 10 in the UFC heavyweight rankings. He would likely not get a fight with any of the fighters ranked ahead of him with whom he has already fought. This include Travis Browne, Ben Rothwell, Stipe Miocic and Cain Velasquez. What does make sense however is a fight with number 13, Ruslan Magomedov or 14, Alexey Oleinik. Magomedov (14-1) currently does not have a fight scheduled whereas number 15 ranked Stefan Struve does. Struve would arguably be the better fight to make because his name is more recognizable among MMA fans, however he is already scheduled for a fight against “Bigfoot” Silva in May. Magomedov has three consecutive UFC wins and needs to beat one of the fighters ranked above him in order to move up. Oleinik (50-9) also has a free calendar and is riding a two fight win streak in the UFC. Unless the UFC pairs Magomedov and Oleinik against one another, Mir is a likely option and here’s why. First, casual fans could not pick either fighter out of a lineup as they have been left relatively unmarketed by the UFC. Both Magomedov and Oleinik need to fight a fighter that casual fans will recognize and give them face time on the screen. Mir is that fighter. If Mir gets a win over either fighter then it shows that he still wants to continue on and maybe it was that he just hit a really bad patch of highly talented fighters. Should he lose to either fighter, well then, maybe its time for the retirement talk, but for now, let’s let Mir decide. Previous Cat Zingano vs Cyborg in UFC?